Summer is upon us! Time for BBQs and pool parties. What goes better with a juicy hamburger or spicy ribs than peaches and bourbon? 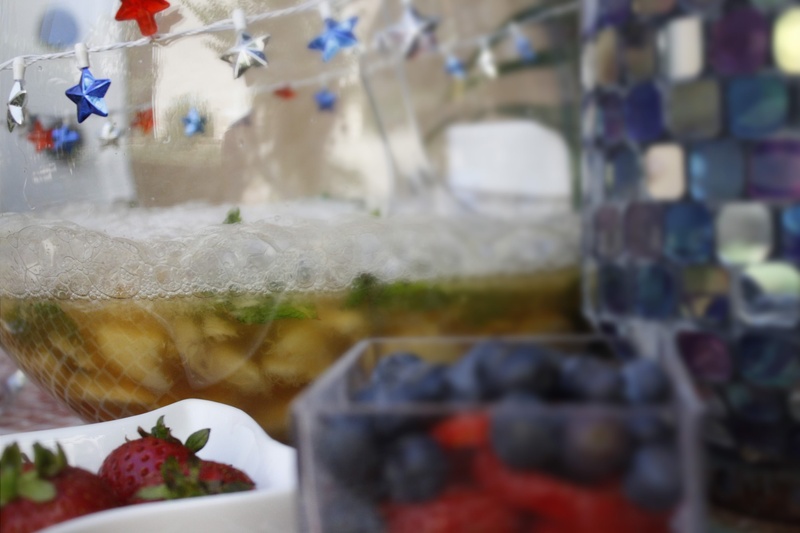 This lightly sweet and very refreshing punch will have your guests asking for the recipe – so here it is! The night before: slice 2-3 peaches and freeze individual slices (wax paper on a cookie sheet will do). Put the fresh peaches in the bottom of the punch bowl. With a potato masher (or muddler if you have one!) give your peaches the once-over. You’re not looking for baby food consistency, but want to release the juice. Pour in the bourbon, cover and put in the fridge. This will give the peaches time to infuse the bourbon, plus saves you time on party day. Put your ginger beer and tonic water in the fridge to chill, too. You can also make your garnishes now and refrigerate. 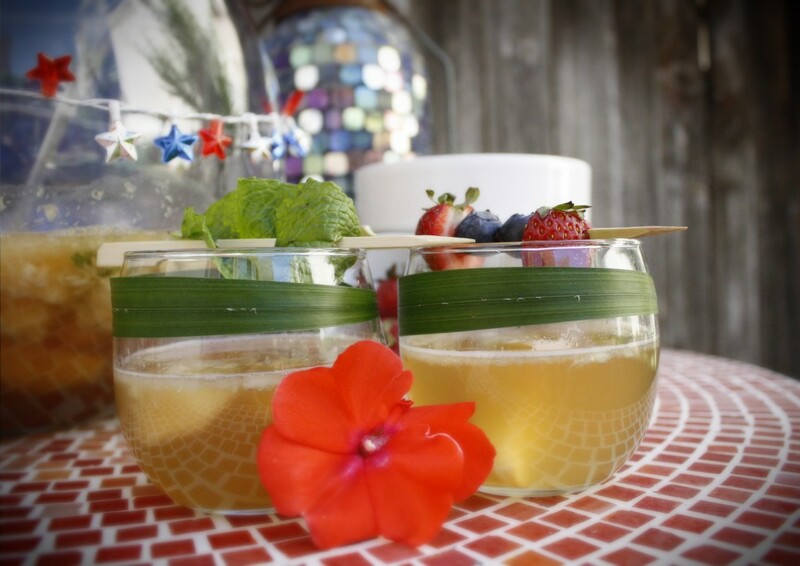 Party time: Spank your mint and toss it into the bowl (you know you want to! And if you don’t know how, it’s exactly like it sounds – it’s more gentle than muddling, but still releases the essential oils. Put some in the palm of your hand and gently clap until you smell mint). Mix thoroughly with the peaches and bourbon. Add ginger beer then tonic water, give it a small stir to mix (it will get fizzy and foamy) and toss in your frozen peaches. Individual servings: Grab a cup, add some ice and fill with punch. If you were to make these as individual drinks, it’s 1.5 ounces of bourbon to 2 ounces each of ginger beer and tonic water. You can also substitute ginger liqueur instead of ginger beer, which works really nicely (1 ounce liqueur, 3 ounces tonic instead).